Mog & Bone There are 3 products. 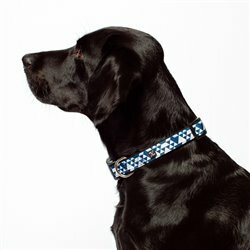 Durable and stylish neoprene collar with high quality printed nylon webbing outer, and soft, flexible neoprene on inside for the dog's comfort. 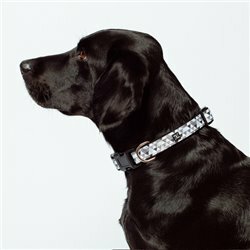 Collars come with high quality fittings. 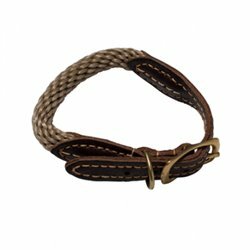 Natural coloured rope & brown genuine leather collar with high quality brass fittings.